GET IN ON THE GROUND FLOOR. Matt Leavitt has an unwavering affection for used keyboards and vintage gear. That sound comes through powerfully with Orchid Eaton. Growing up in Eau Claire, Matt Leavitt – like many other locals – had big feelings about a band called Amateur Love in the early 2000s. The now legendary local band made up of Josh Scott (Aero Flynn), Phil and Brad Cook, and Brian Moen (Peter Wolf Crier, Laarks) left Leavitt feeling inspired as a young scene kid. Little did he know that a few years down the line, he’d be collaborating with Moen on his own project called Orchid Eaton. As Leavitt’s own band Emot started toiling around the Minneapolis music scene, he and Moen would run into each other at shows all the time and became friends when Moen produced Emot’s 2014 self-titled record. 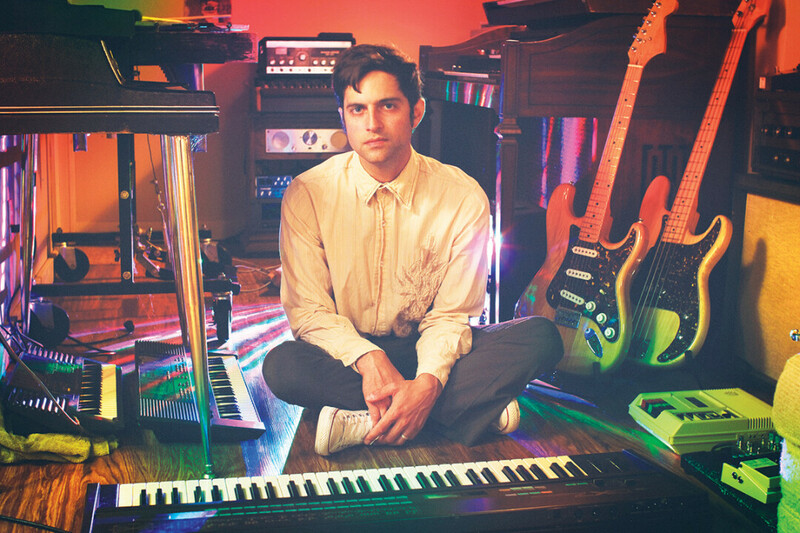 When Emot went into a slow hiatus, Leavitt felt like exploring new sounds and making his own DIY recordings with keyboards aplenty, organs, lush guitar sounds, and layers of sound inspired by the maximalism of ’70s sunshine pop. Leavitt made all kinds of recordings and pored over the process in solitude until he had a collection of warm lo-fi pop outlines he felt good about. Moen was living on the West Coast at the time, and after Leavitt sent him some of the recordings out of the blue, they formed a team. Sending tracks back and forth, adding elements here and there, perfecting mixes – the two-year process was arduous but the partnership proved to be fruitful. 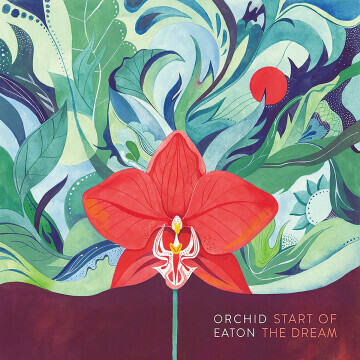 Orchid Eaton is on the cusp of releasing its debut album, Start of the Dream. The record is full of sunny hooks, soaring melodies, and an untouchable lo-fi crunchiness. Leavitt’s affection for cheap keyboards and the wholly unique tonalities of vintage recording tools threads its way through the whole record. There are vibraphones, Wurlitzer, organs all over the place, harpsichord, bells … you name it, really. The result is a beautifully rich sound with tons of elements you almost never hear in pop songs anymore. “It’s definitely not crispy and clean by today’s standard, but it gives it a human quality,” he said. It wouldn’t be out of line to compare this record to Brian Wilson’s Beach Boys or the Beatles even, but with a modern knack for pop hooks and synthesizers. While these initial songs were mostly Leavitt’s vision from the get-go, the next batch of songs will be leagues more collaborative. Orchid Eaton’s got a busy summer of shows, most notably at Oxbeaux II sharing the stage with Hiss Golden Messenger, S. Carey, and Chastity Brown on July 5. But the band, which performs as a trio with bassist Justin Hartke, will officially release Start of the Dream on June 15 at the Mousetrap with openers Al Church and Sloslylove. To learn more about Orchid Eaton, check out their website at orchideaton.com or follow them on Facebook and Instagram.